In the year 2018, Asia Africa Week will be held back to remember and celebrate togetherness in the differences, synergy in diversity, and strength in diversity. Asia Africa Week 2018 presents exciting events and invites you all to participate in the various activities that are inside. 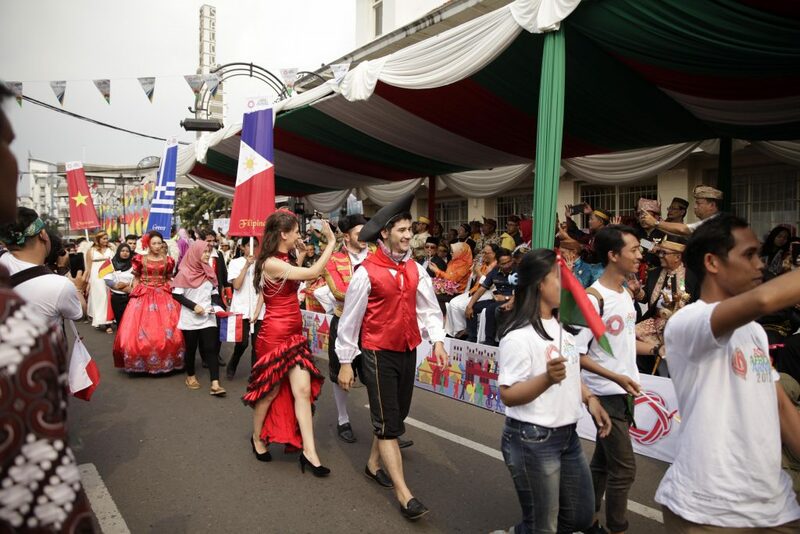 Asian African Carnival has become a unique event of Bandung City dubbed the Capital of Asia Africa for hosting the 1955 Asia-Africa Conference. Event carnival whose main event is a parade of Asian-African countries along the historic road where tens of years ago various countries from both continents met. "A City Festivity in Commemorating 63 Years of Asian African Conference" city festival based on spirit and soul of Dasa Sila Bandung to proclaim the value and message of goodness that was presented again at the 63rd anniversary of Asian-African Conference in Bandung. 1. Asian African Carnival: Where representatives from each region (Country Friends, Sister Cities, Province, City, District) walk around the Jl Asia Afrika area while wearing regional clothes or unique costumes. In addition, in this event also held a carnival competition open to the public, where the activists carnival will have the opportunity to get attractive prizes (Implemented on April 28, 2018). 2. 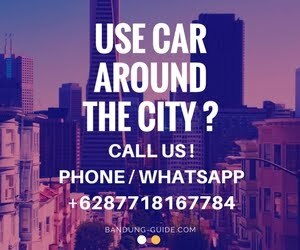 Unity Run: Fun run activity that also invites participants through the existing cultural heritage buildings in Bandung which is not widely known. This activity is divided into 4 categories: General, students, athletes, kids dash with prizes and hundreds of door prize (Implemented on April 29, 2018). 3. Photo and Short Movie Competition: The competition opened in general from March. There will be several winners who will compete for various prizes and will be exhibited on 23-29 April 2018. 5. Cultural and Tourism Expo: Cultural and tourism exhibitions from each region that will add insight and information to Wargi Bandung (Implemented on 27-29 April 2018). So, note and come to the event :) !